3 Bedroom End of Terrace House For Sale in Bournemouth for Guide Price £339,950. Palmer Snell are pleased to offer this beautifully presented 3 double bedroom end terraced town house situated in a modern a popular development in Knighton Heath close to a play park, shops and buses. 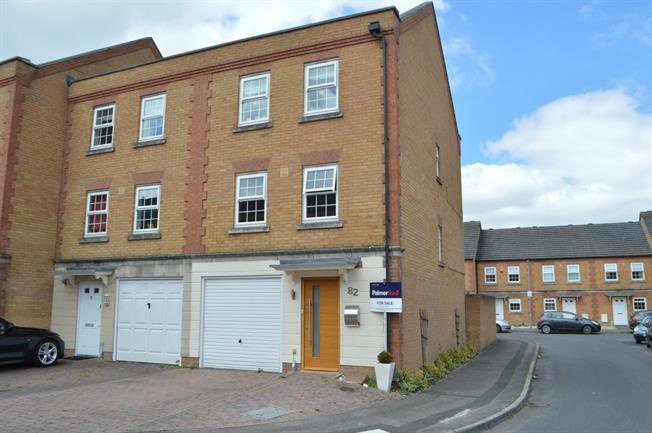 The ground floor comprises a WC, a beautiful open planned 15'7" kitchen/breakfast room with granite worktops and the garage with scope to convert into further accommodation STP. The first floor comprises a 17'2" l-shaped lounge/diner with Juliette balcony and bedroom 2 with en-suite and the 2nd floor comprises a 15'7" bed 1 with en-suite, a 3rd double bedroom and a modern family bathroom. Outside there is parking in the front and a well maintained rear gdn.